Marlon Brando, Jean Simmons, Frank Sinatra, and Vivian Blaine. 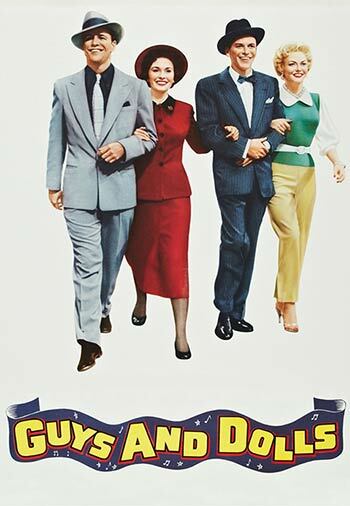 The hit Broadway show gets the big screen treatment thanks to major stars like Marlon Brando, Jean Simmons, and Frank Sinatra along with Vivian Blaine, who originated the role of Adelaide on stage. Damon Runyon’s short stories about crooks and gamblers translate perfectly to the screen thanks to Frank Loesser’s music.